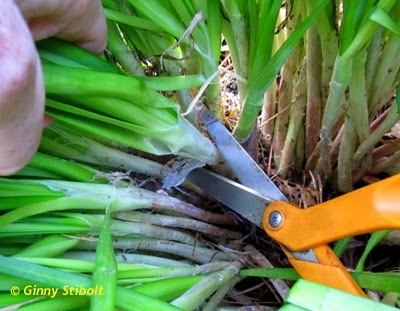 While the common name, garlic chives, is descriptive of the onion/garlic taste, this is on the garlic side of the genus with its flat leaves. 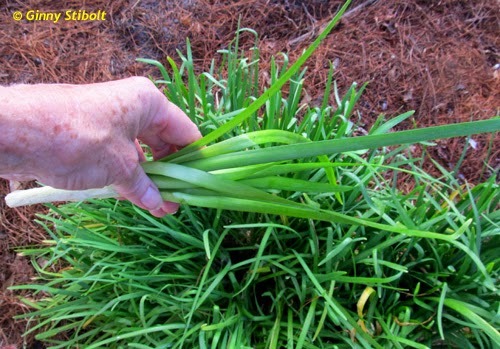 Chives is on the onion side and its leaves are hollow. 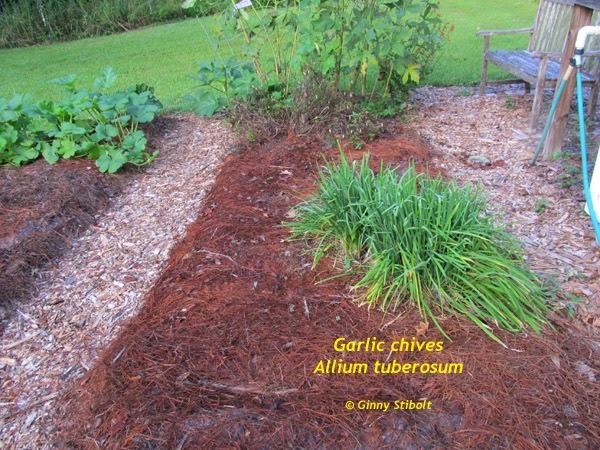 I grow chives as well and we love the subtle flavor, but chives does not take to cooking at all. It's always good to have some choices. I cut off whole sections to use. There's plenty for us throughout the year. I planted some of my cool-weather crops the other day after several mornings with temperatures well below 70 degrees. 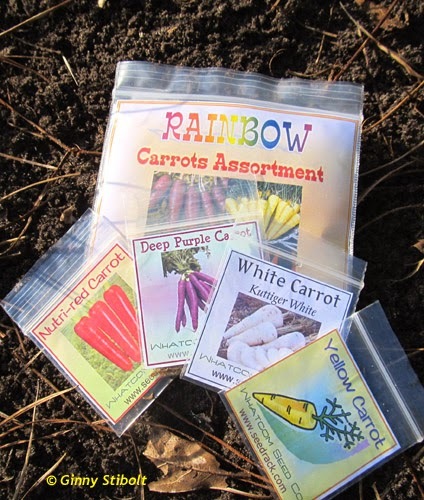 It's probably a little early, but I'm anxious to see how these rainbow carrots do. Very cute packaging, but will the carrots live up to their wrapper? So I was out back working to clear some encroaching vegetation from the path and caught a movement out of the corner of my eye into this mound of sand at the edge of the lawn area. Of course I had my camera in my pocket, so I hunkered down with my camera ready to shoot whatever emerged from the hole. 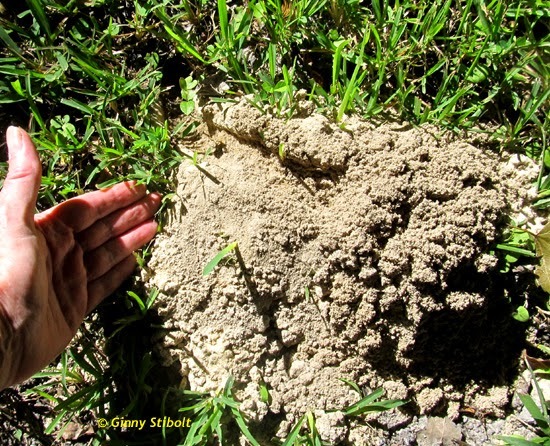 It was not surprising that it was a huge cicada killer when you look at the size of her sand mound. There were several nests lined up along the edge of the lawn out back. To host these beneficial insects in your landscape, use no landscape-wide insecticide of any kind and leave some of your property unplanted and unmulched. 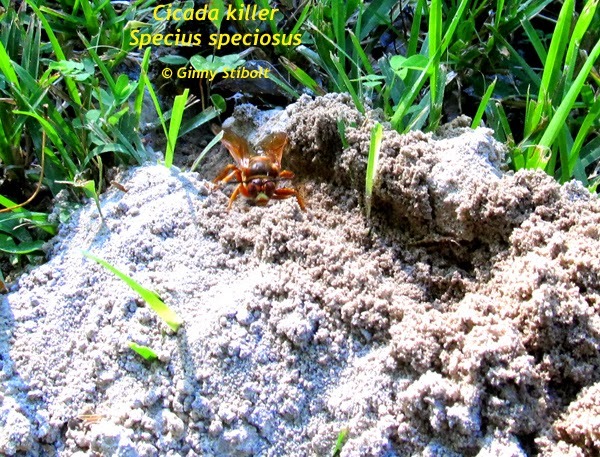 For more information on cicada killers see this post from IFAS. A cicada killer female emerges from her expansive underground nest. The volume of soil removed for the nest is amazing. See the runway across the top of the mound just above the tips of my fingers. Nests can be up to 4' long with 16 cells—one for each egg/larva. 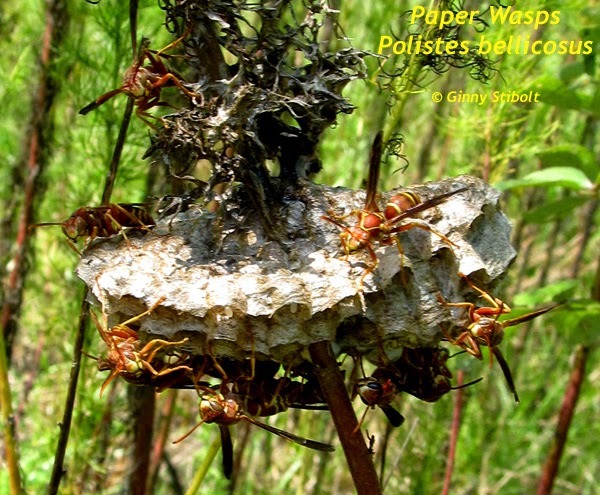 Paper wasps are also effective predators in the landscape, but their nests are well above the ground. This nest hangs on a dog fennel stem in a vacant lot across the street. 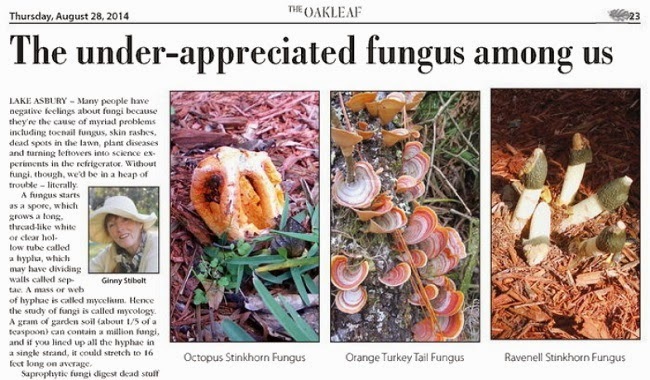 My fungus article for Clay Today's Oakleaf Magazine is on page 23. 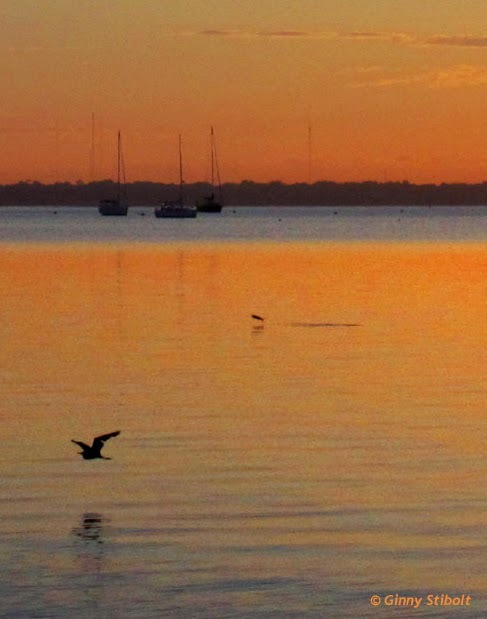 Sunrise at Jacksonville Beach the other day. I loved the reddish sunlight on the sea oats. I hope you're ready for your cool weather crops and I strongly urge you to try some garlic chives so you can always have something fresh from the garden for your salads, pestos, and stir fries. 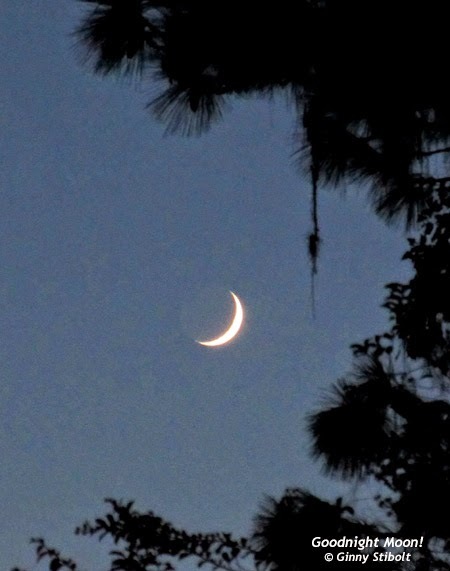 Happy Labor Day and I hope that any labor your are doing for the holiday is in the garden.